With MS Outlook it is really simple to sync your employee's Kickserv calendar. 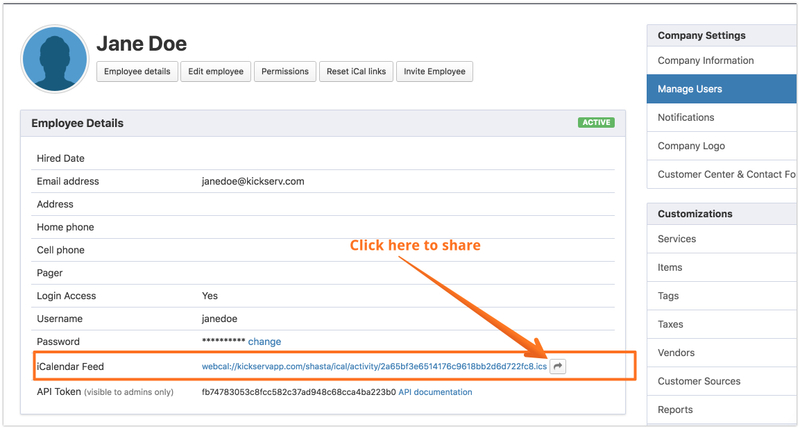 Copy the entire "webcal://kickservapp…" or click the share link at the right end of that link. Send this entire link to your employee. If they open this email on the device that has Outlook installed and click the iCal link then Outlook will ask if you would like to install this calendar - done!